A woman has claimed to have found uncooked raw giblets in her KFC chicken meal in Wellingborough, U.K.
Cassandra Perkins, 22, said she was at the fast food restaurant when she noticed it didn’t appear right. She said after pulling it open, she discovered a “pink” thing that she thought “may have been brain,” the Metro reported. She ordered a Zinger Tower meal and a piece of chicken for about $10 on Jan. 13. “I certainly won’t be going back and probably won’t eat KFC again,” Perkins added. 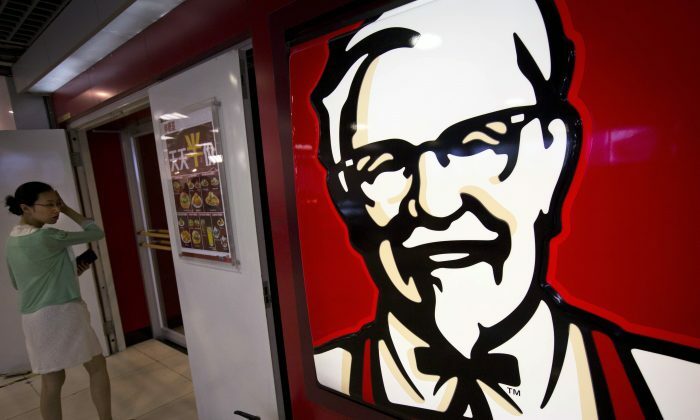 Several months ago, a KFC customer claimed to have found a rat in his meal. However, it turned out to be just chicken that looked like a rodent. “Recently, a customer questioned the quality of a KFC product, and this received considerable publicity given the sensational nature of his claim,” KFC’s Rodrigo Coronel told FoxNews.com in June. A customer posted a photo of the rat-like piece of chicken on Facebook before it went viral. KFC denied the man’s claims and did a DNA test. “We did an internal investigation and talked to all employees. That statement is false,” Coronel added.